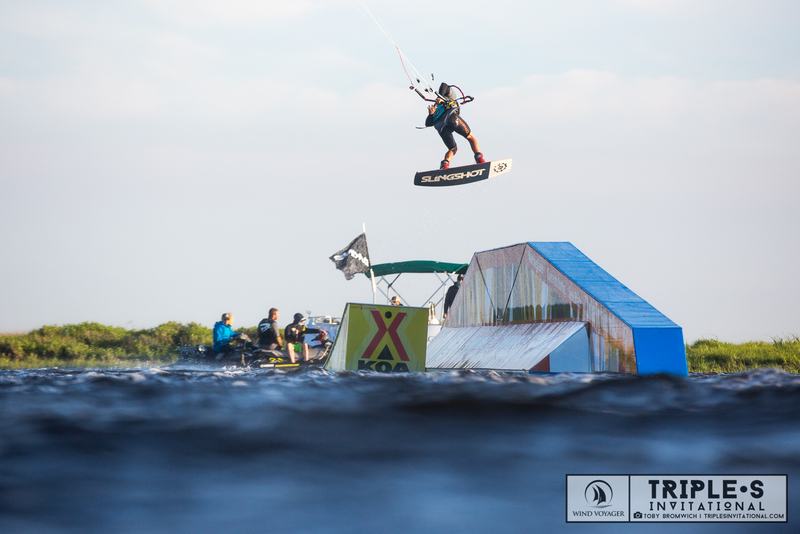 Andre Philip has a lot to answer for how far the sport has come in the park/wake style space and he’s not done yet! The level of riding has been going up every year and this year wasn’t any different. There is a whole bag of people who would find themselves on the podium if they could just hold things together but Sam Light, Noe Font and Christopher Tack were the standouts. Sam has been dominating the podium for the past 4 years and rightfully so. 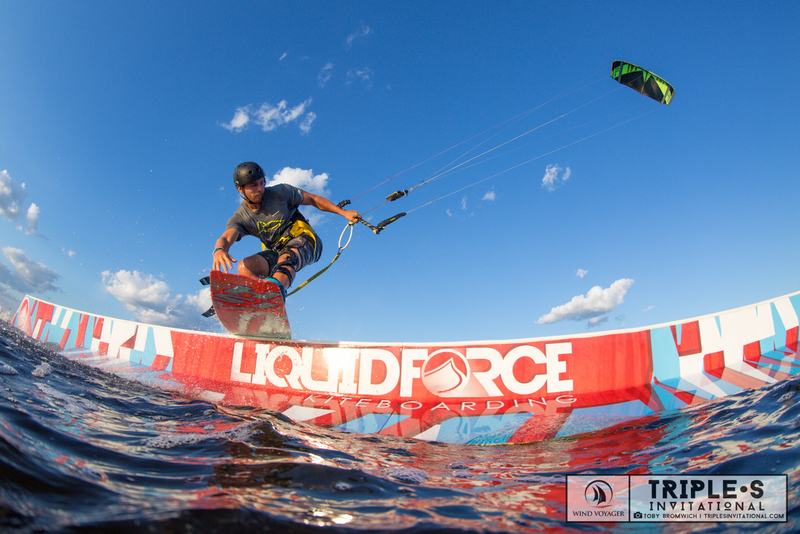 He has been kiting a lot and his consistency and technical ability in the park is what sets him apart. No matter what he seems to land on his feet. 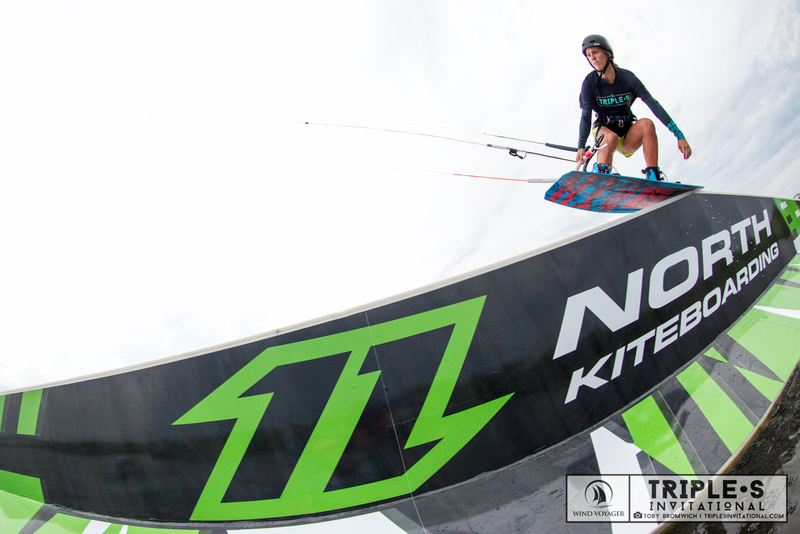 I’d guess that having a cable park close to his home in England may have something to do with his consistency in the kite park. Either way Sam is killing it out there every session and it doesn’t seem like he wants to get off the podium anytime soon. 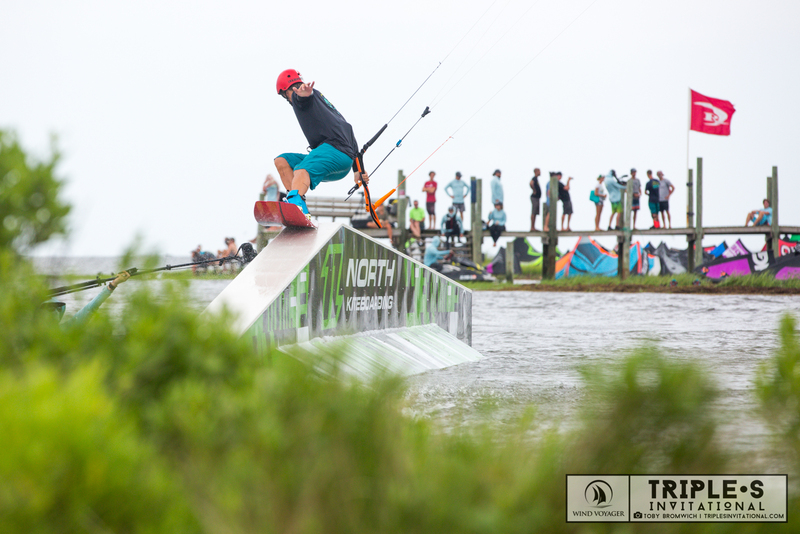 Sam Light maintains his grip on the Triple S for the 4th year straight and he’s not showing signs of slowing, he top scored on 4 out of 5 obstacles this year only losing the core kicker to the first 900 landed in a contest. Now a joint record with Colleen Carroll however he has the chance to go to 5 straight, she’s back to square 1 next year! Noe is creeping up the ladder. I remember seeing this kid for the first time last year and feeling a sigh of relief that there are some really talented kids coming up who are going to be here for a while and you’re gonna want to keep an eye on. 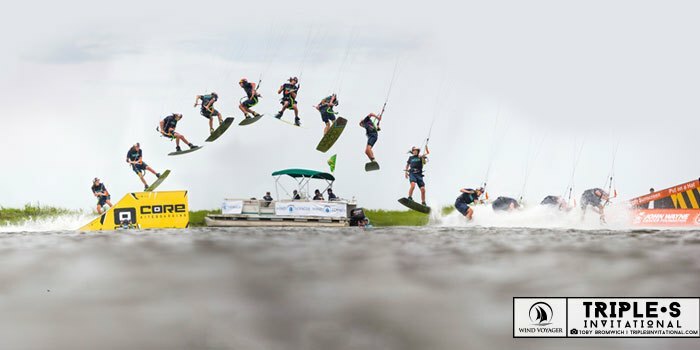 Noe Font has come straight to the top level of park kiteboarding after this year’s Triple S and this backside board slide kicker to John Wayne A-frame transfer starts to tell you why. 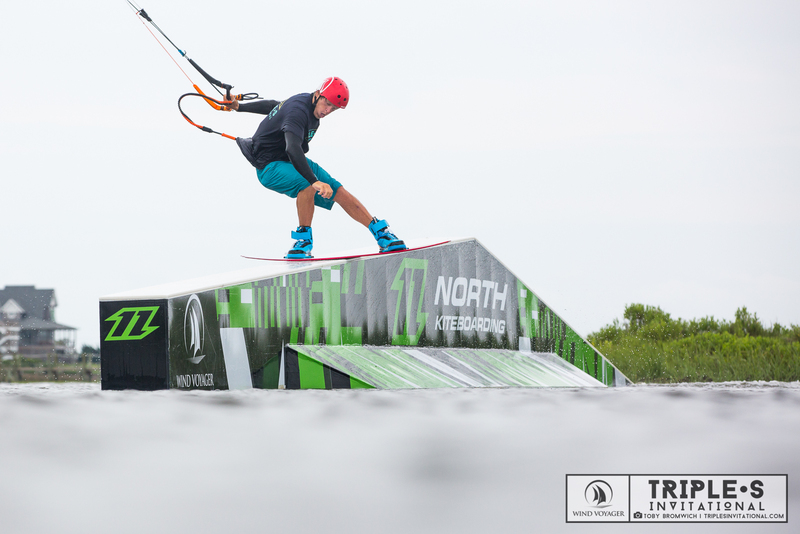 Christopher Tack stepped up his park game and was the first to land a 900 off a kicker in competition and the way he’s spinning I’m sure it won’t be long until he gets that 1080. 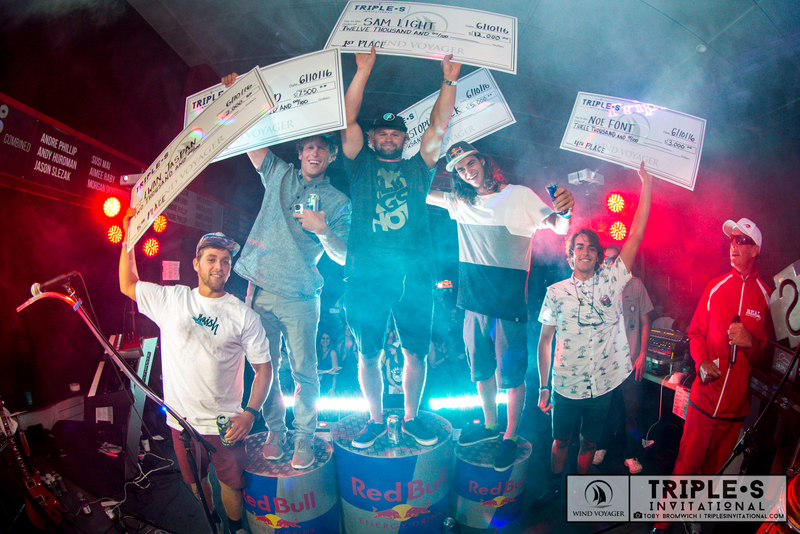 The Men’s top podium positions were tight and a real mix of new and old. How long can the Triple S podium regulars keep the young guys at bay??? 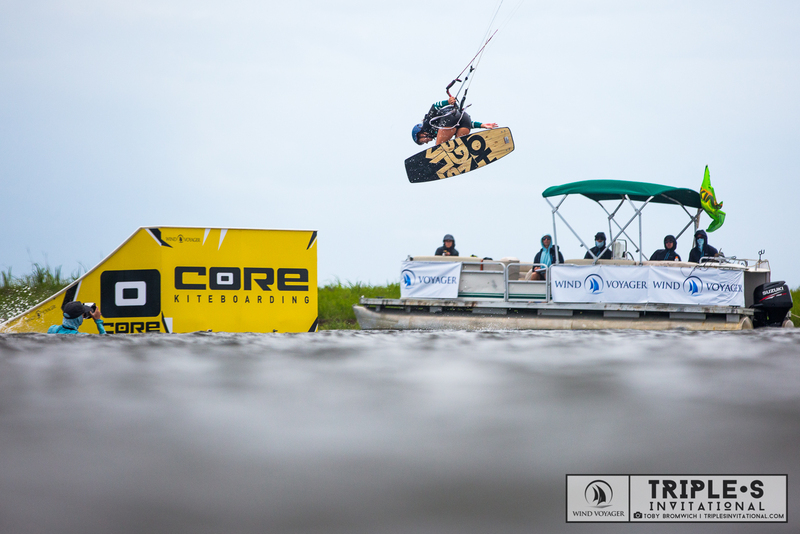 Brandon Scheid somehow slipped through Dre’s highlight riders but that’s probably because he’s been doing it for ever in the Hatteras Slicks. Still going strong and only just missing out on the crown this year. 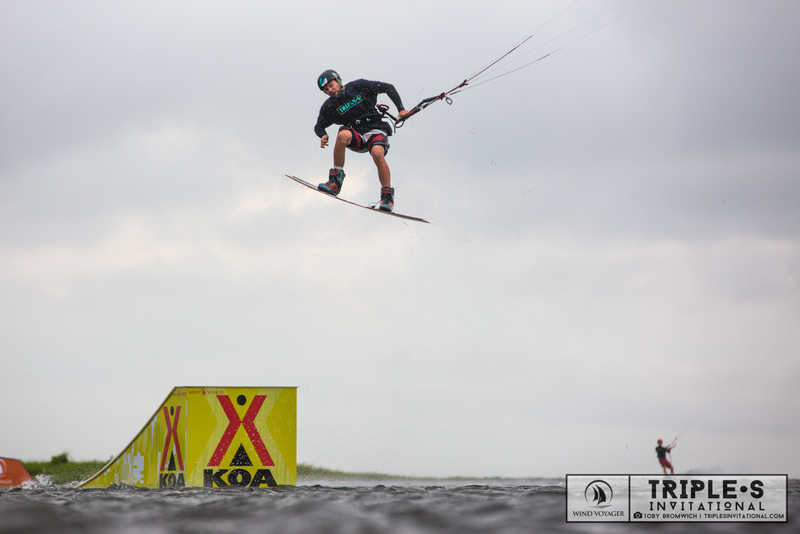 Aussie Ewan Jaspen is well and truly back from injury and taking it to the worlds best. He was top 5 this year and only a single point off a podium spot! The girls were on another level this year… trust me if you are a dood and you enjoy the spotlight out on the water you don’t want any of these girls showing up… they will probably make you look bad as they are ripping and it was a feisty fight to the top! Colleen posted the highest score on 4 of the 5 obstacles but lost out on the John Wayne A-Frame to go down by .25 of a point and lose for the first time in half a decade. Karolina Winkowska was a big part of the reason the technicality of the women’s riding lifted so much this year. She’s now claimed her first Triple S and will be a force to be reckoned with in upcoming Park events. 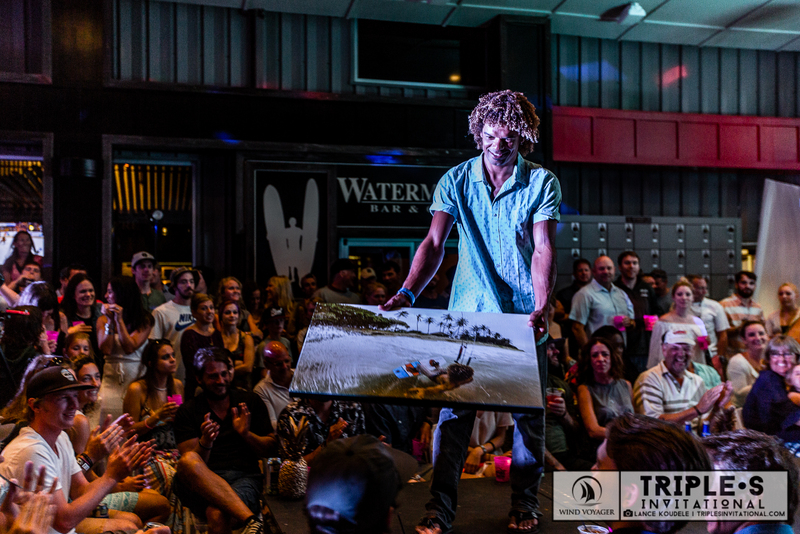 The Triple – S always bring some fun parties and every night there is live entertainment happening on the back patio of Real watersports complex! This year for me it was DJ Chela, Dubplates and Tanya Stephens that made the back yard sessions so good and the WindVoyager after party was pumping as well. When the sun goes down, the action heats up! The jam session on the back patio normally starts just before sunset when the day is winding down. 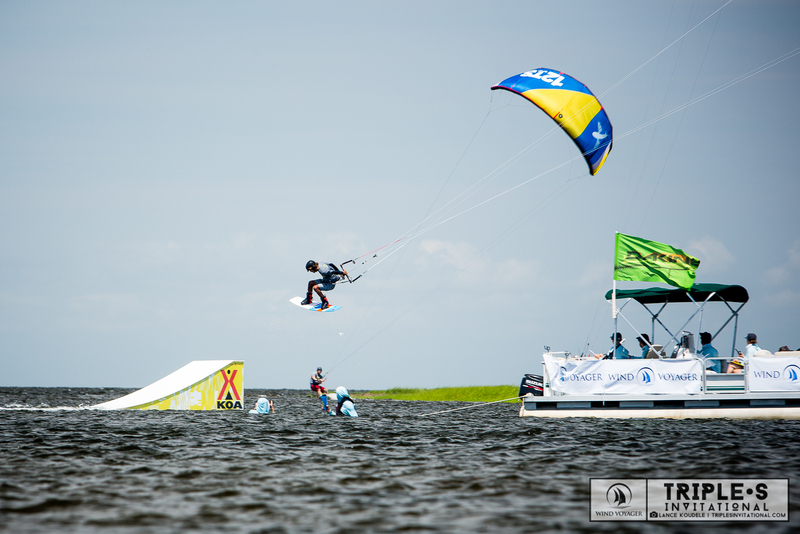 You’ll still be seeing action out on the water but people will be coming in shortly to grab a drink and some food and enjoy the vibes. The Slick gives some great viewing vantage points and Brandon Schied always manages to entertain. I can’t really say much about the Sensi bikini fashion show and fundraiser since every year the girls put on an amazing show. There’s also lots of prizes up for auction that benefit the Hatteras Island Youth Education Fund. Bikinis for a good cause! Everyone’s happy! When things start to hit the after hrs the is sometimes an after party that pops up somewhere, usually at a classic OBX 4 story beach house. So there’s always something going on in every floor… poolside chatter, games room action, dance floor mayhem etc. Just a bunch of wind junkies having a good time. 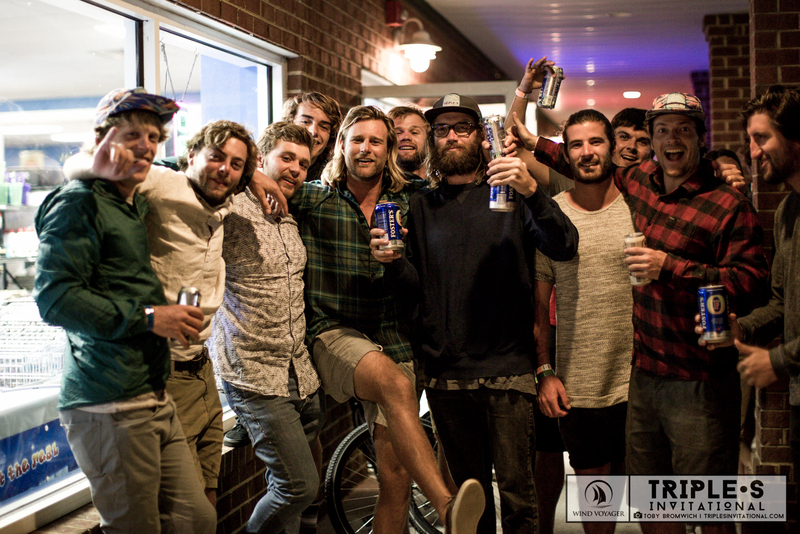 Winners are grinners, but with the wind returning in 2016 it seems everyone was grinning at this year’s Triple S. Look for more coverage in Issue 6 of Freedom soon! Lots of big tricks went down on all the features but the stand out features had to be the big kicker and the John Wayne A-frame. Plenty of lines in the Real Rail Park. 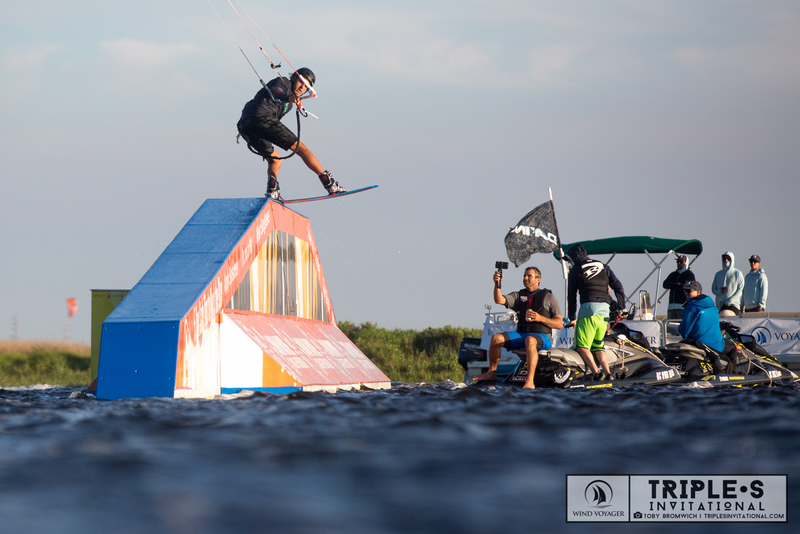 Transferring kicker to the a-frame was one of the sessions of the event this year! The John Wayne saw some big spins over the gap and Tack nailing the 900 off the kicker and many others sticking some technical spins and inverts. Dre said he can’t say enough about the bikinis so we thought we’d throw one more in to finish!